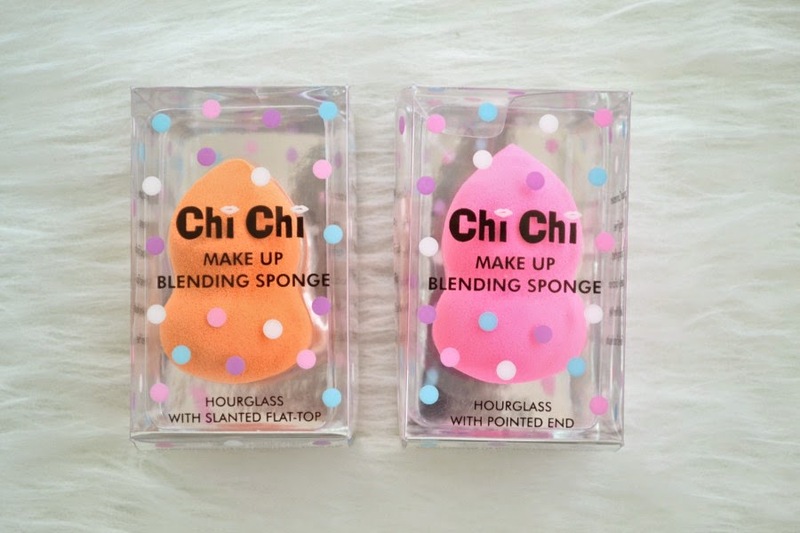 Recently Chi Chi released 4 new beauty sponges. At only $5.95 each, I couldn't wait to get my hands on them. When I went into Myer on Monday, there were only 2 of them sitting on the stand, so I picked up both. The orange sponge is an hourglass shape with a flat top on one side. The pink sponge is an hourglass shape with a pointed top. What I love about the packaging is that it tells you EVERYTHING that you need to know about how to use it. 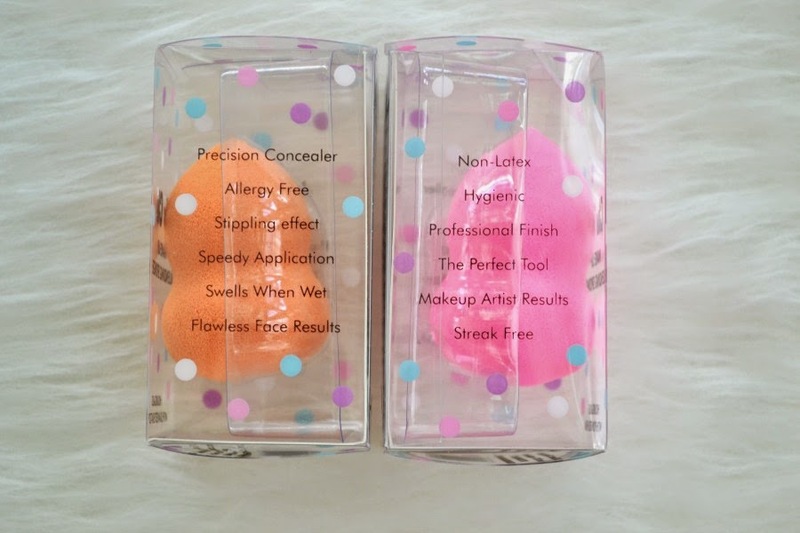 No matter if you've used a thousand beauty sponges before, or if this is your first one, the packaging tells you the best way to use it. This non-latex sponge is to be used damp. I like to wash the sponge the night before and let it airdry. I find that it still has enough dampness to work properly, and this way I can wash it after every use and still have it ready for the next day. I first took a photo of both of them out of the box. They look on the smaller size. After running the orange one under water, you can see that it gets bigger. I found that it took about 30 seconds for it to expand. The sponge is very easy to use and the grooves of the sponge help to get into spots like the curves of your nose and around your jawline. 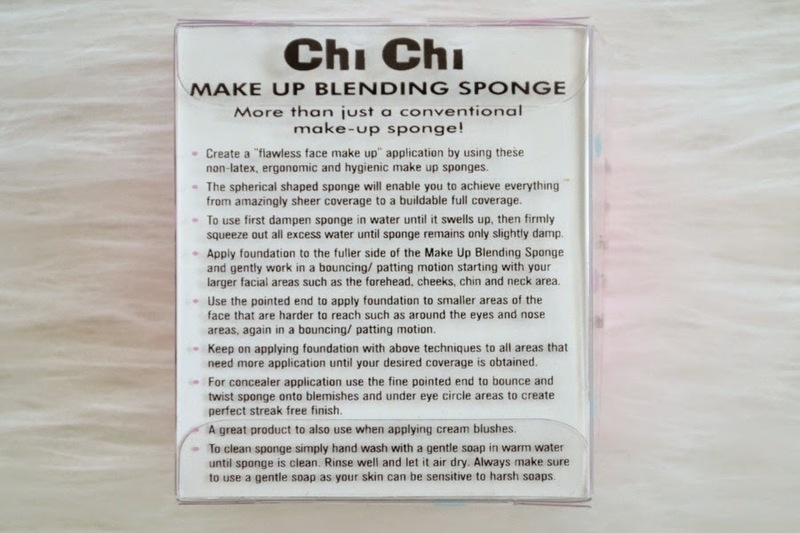 This would be a fantastic sponge to use if you like contouring with liquids. I've only used it with a light coverage foundation (Bourjois Healthy Mix Foundation) so I can't comment on how it performs with thicker/heavier formulas. I did try to build up some coverage on my cheeks and it worked well. 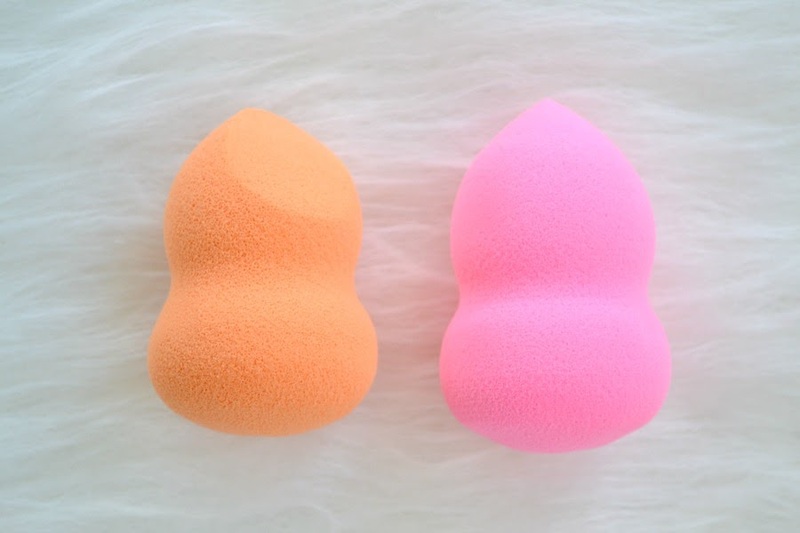 I've used both and probably prefer the orange sponge as it has a flat side near the tip. It reminds me of a mix between the Real Techniques sponge and this one from Natio. At only $5.95, these sponges are amazing. I now need to get my hands on the other two sponges. You can see all four styles here. I think they're only available online from Chi Chi and also available at Myer instore. 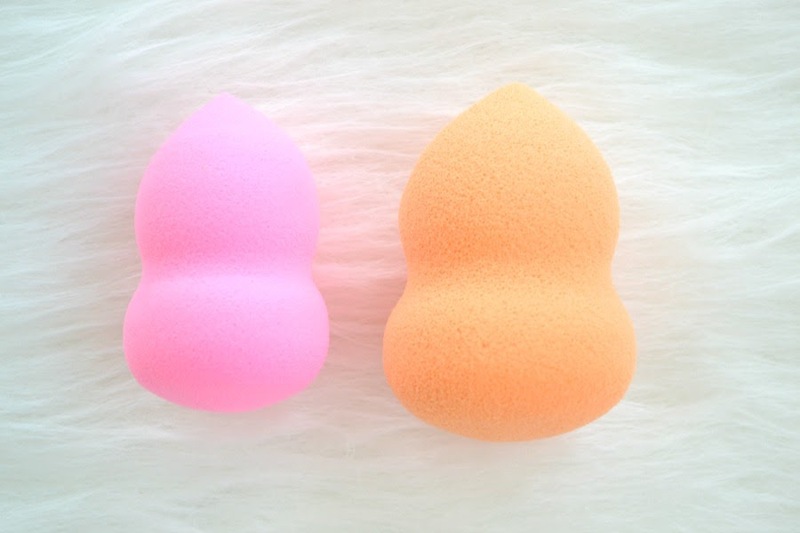 PS I can't compare it to the Beauty Blender as I don't own one, but would love to hear from you if you've tried them both! I think what sets these apart from other brands (besides the price) is having the 4 different options available.